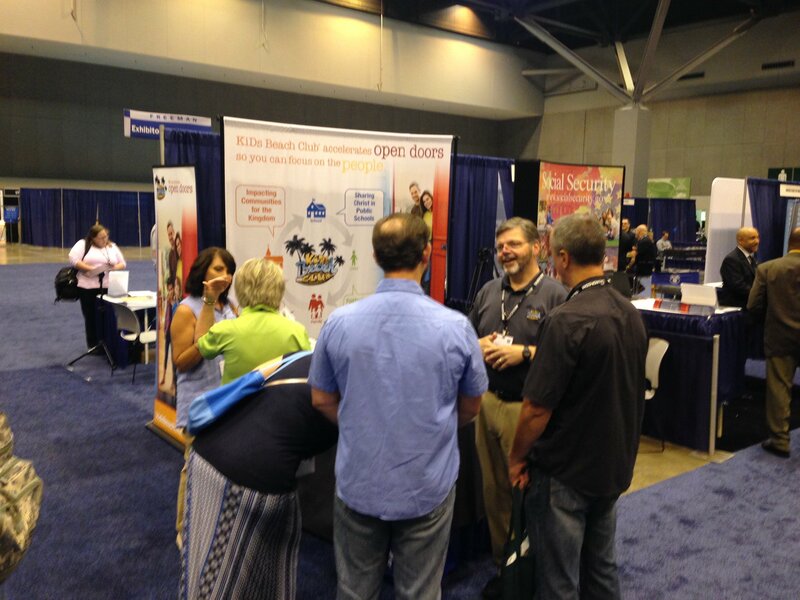 KiDs Beach Club® went to St. Louis in mid-June as an exhibitor during the SBC Annual Meeting and as a program sponsor in the SBC Pastors’ Conference. The goal was to unveil its new national growth strategy. The theme of the Annual Meeting was “Awaken America” by placing a greater emphasis on evangelism. The theme for the Pastors’ Conference was “Live This” encouraging pastors to lead the charge in the urgency to share the gospel. Several great speakers at the Pastors Conference were unified with the message to thousands of pastors in the audience to “do the work of the evangelist” from 2 Timothy 4:5. “There is no answer for what’s happening in our world today apart from the gospel." - Derwin Gray, Transformation Church; Charlotte, N.C.
And these two remarks that reinforce how KiDs Beach Club® can help churches share the gospel. - Jimmy Scroggins, First Baptist Church; West Palm Beach, Fla.
- Johnny Hunt, First Baptist Church; Woodstock, Ga. Through more than a decade of ministry in public schools, KiDs Beach Club®, has gathered statistics that indicate 62 percent of children who first attend a Beach Club do not have a church home. National studies have also shown a much greater success in reaching people for Christ before the age of 12. Researcher George Barna, author of Transforming Children into Spiritual Champions, stresses the importance of children's ministry by contending that lifelong moral views are largely in place by adolescence. "What you believe at age 13 is pretty much what you're going to die believing," Barna said. Research compiled by his Barna Group shows that children between the ages of 5 and 13 have a 32 percent probability of accepting Jesus Christ as their Savior. That likelihood drops to 4 percent for teenagers between the ages of 14 and 18, and ticks back up to 6 percent for adults older than 18. 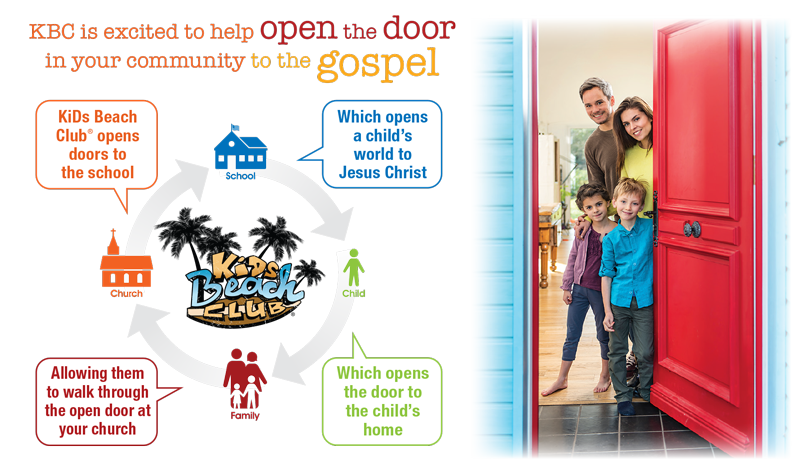 KiDs Beach Club® provides a great way to reach children during this critical period in their lives in a mission field that is often overlooked by churches, providing those churches an open door into the public elementary schools to minister to children in third through sixth grades. We are an evangelism tool to reach children for Christ. At the booth in the exhibit hall in St. Louis, KBC was able to meet with hundreds of pastors and church messengers. We had more than 100 meaningful conversations with church leaders from 18 different states, including 11 states that do not yet have a Beach Club. While most of the churches were in southern states, KBC also visited with pastors from Maryland, Michigan, New Mexico, New York, Virginia, Wyoming and even the Virgin Islands. Some pastors at churches that already sponsor Beach Club also stopped by our booth and were excited to tell the KBC story, being some of our strongest ambassadors during the annual meeting. One of those pastors is Fred Shackelford, the senior pastor at Ellendale Baptist Church in Ellendale, Tenn.
And that is by sharing the gospel. In St. Louis, KiDs Beach Club® was able to deliver the message about who we are and what we do to as many church leaders as possible. Many schools don’t have KiDs Beach Club® and we wanted to make sure we reach as many children as possible. KBC also is placing a greater emphasis on sharing the gospel throughout the entire club meeting, not just at a set time.